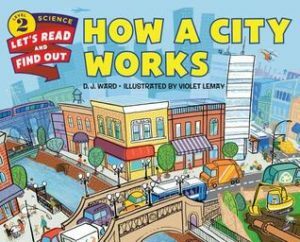 This book explains where our water comes from, where our power comes from, how our sewer and recycling system works and how our transportation system works. Each section explains in graphics how that particular system works. This is very informative and easy for young children to understand.